MSRP: 34.95 for the single DVD. 139.80 for the boxset. This show is available individually, or as part of the boxset. 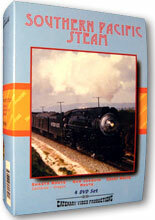 Southern Pacific Steam is the boxset of 4 DVDs. These are 2007 remastered shows from the boxset. 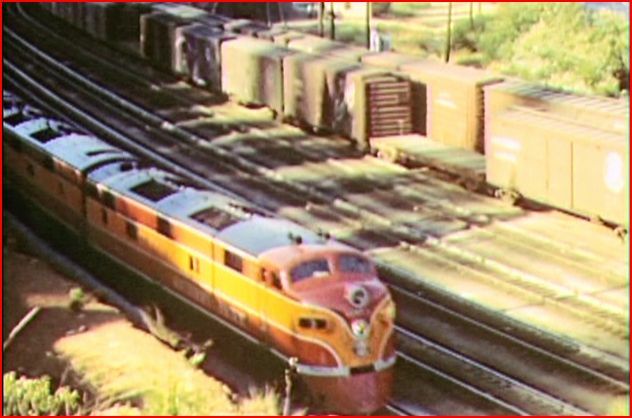 Continuing the look at 1950 era Southern Pacific. Catenary Video has this 2nd volume. Oregon is, where the action takes place. The Siskiyou, Cascade and Modoc Lines are featured. A map displays the territory as the California- Oregon border. 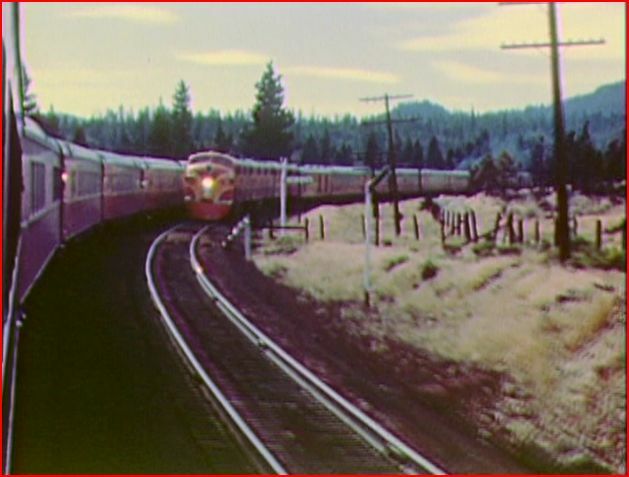 The 2 mainlines run northward to Klamath Falls, Medford, and meet at Eugene. The line then runs to Salem and concludes at Brooklyn/ Portland. A few additional maps are referenced during the program. The films are rare ones. Smooth editing keeps the views comfortable. The program consists of color film by at least 15 different camera sources. The Southern Pacific is listed as one source. 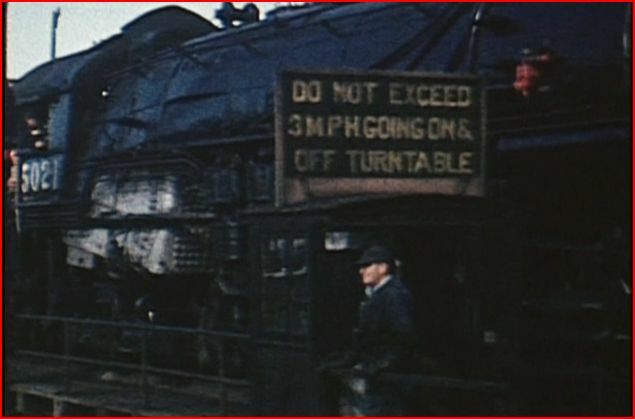 Ed Moss has some mighty fine 1939 color footage, for example. Digital processing has most of the show looking great. However, some scenes have a somewhat ‘over-saturated’ color look. Maybe that is a characteristic of the original film. An occasional color balance issue shot too. Overall, the show looks excellent to very good. 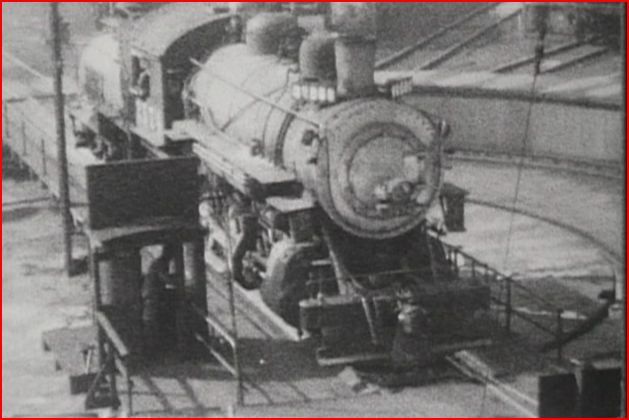 There is a black and white feature, with rare scenes by Foreman Ed Moss.The location is the SP Brooklyn facility at Portland. A roundhouse sequence is one. Locomotive servicing too. Many steam types including 4300’s. 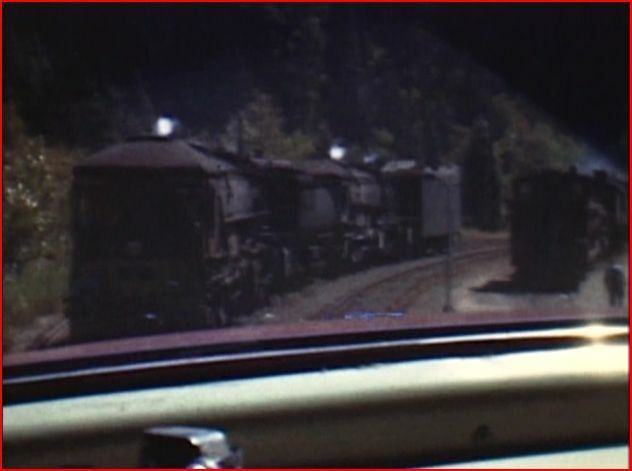 Baldwin diesels are viewed. 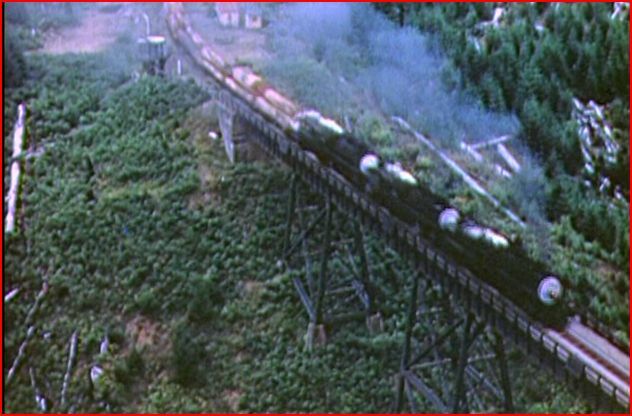 The scenic Tillamook Branch with logging, gets the first section of SP lines coverage. 2-8-0 Hog locomotives are used on the Tillamook Branch. Many of the Consolidation/ Hogs are needed to conquer the grades. 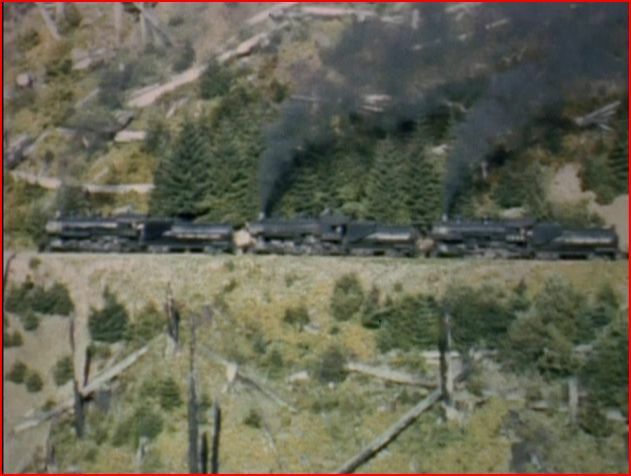 Here is this triple header at Wolf Creek Canyon. Three helpers are pushing on the rear. At Dunsmuir, #9 is entering the station. As with the other volumes, the script is very informative. The narrative moves quickly. The narrator has a very dry style, and seems to drone. He does get to be rather boring to hear. It is the sharp script that carries the narration. 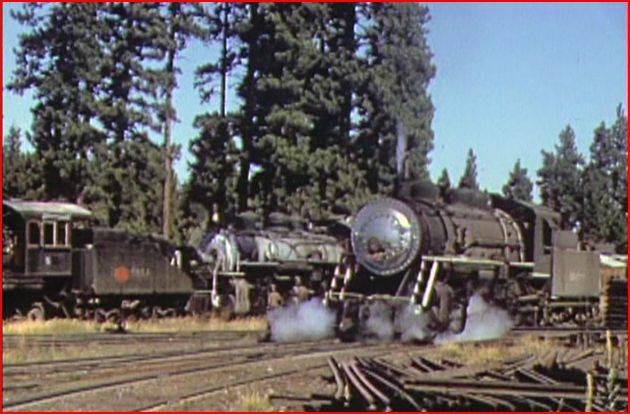 Good historical discussion of locomotives. Shasta Dam and Lake Shasta area has a nice short. Musical background is present in much of the show. Steam sounds are dubbed in, at times. A chapter menu is included. Maps are referenced briefly, and cover an overview of territory. The show has a PBS style presentation, with some memorabilia, and some musical interludes. Oct.05, 1955. 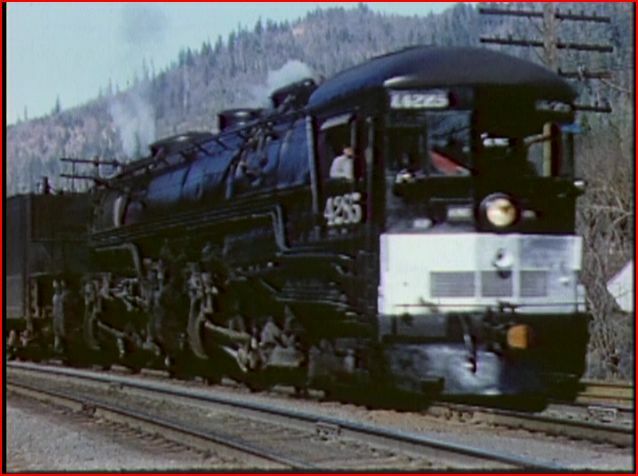 4-10-2 # 5021 moves out with the last steam powered freight north of Eugene. An odd 3 cylinder design was problematic to maintenance crews. Sounds are strange, also another odd part of the 5000 class. Cab forward cab ride travels through the snowy scenery. The AC has a good view! There are numerous cab rides in this show. 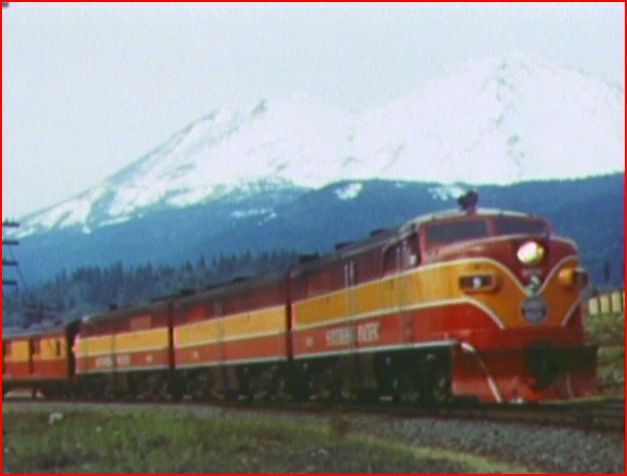 A 1949 cab ride onboard another daylight Alco PA moves up towards Cascade Summit. 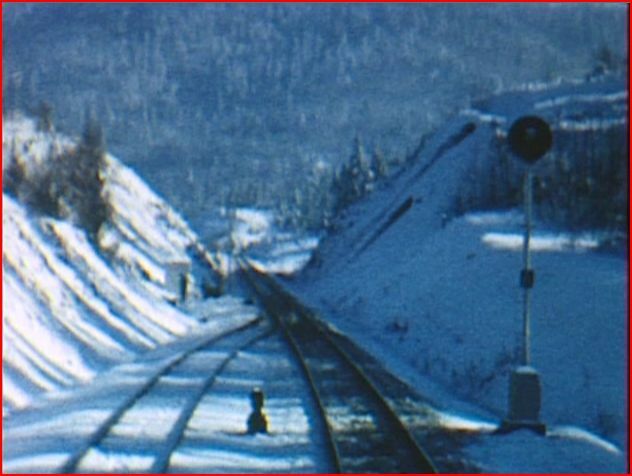 Cab forward helpers are seen. This is the best, and longest ride in the show! Electromotive E7 units are eventually seen on daylight trains. Longbell has a 2nd hand roster. It ceased in 1956. Some former SP power was there. Logger line. 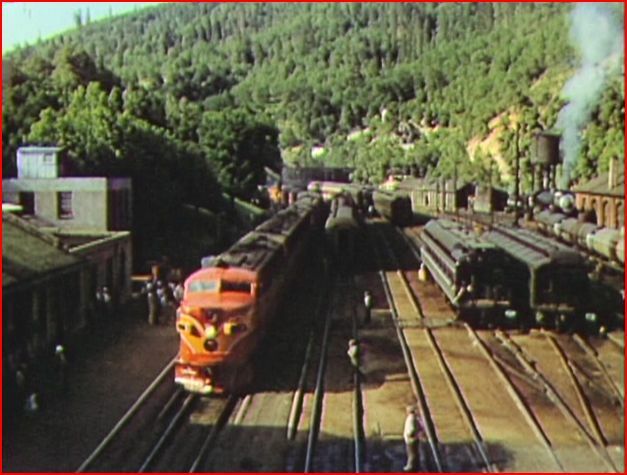 The Dunsmuir Yard was located away from the station, where it would fit..
Southern Pacific SD9 locomotives were being used in helper service, in the Cascades. Shasta Coast Daylight with Mt. Shasta in background. Sacramento River Canyon has beautiful scenery. A 15 1/2 schedule was a challenge for the passengers. 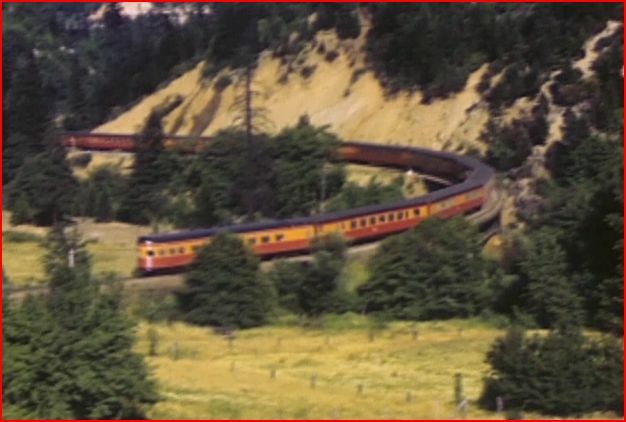 This loop provides a panoramic view of the train. 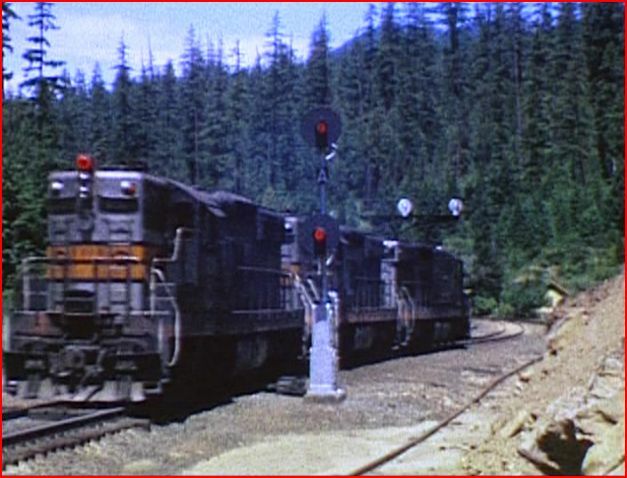 The Klamath was heavy on mail cars. 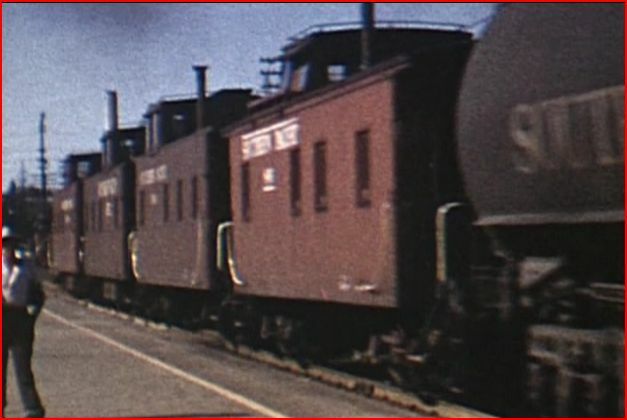 Four SP cabooses behind steam, represent the four volumes in this fine set. 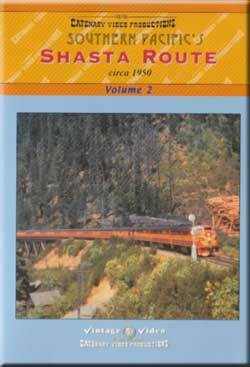 SP’s Shasta Route Volume 2 is a strong entry in the series. The fast pace and multitude of rare films create some exemplary viewing. Mixture of steam and early diesel provides compelling train-watching. Various cab rides break up the program in a fun way. The mostly color presentation gives a good look at scenic Oregon. The well written script, is an integral part of this show. As with the other volumes, a bibliography is displayed at the end. Talk about detail! 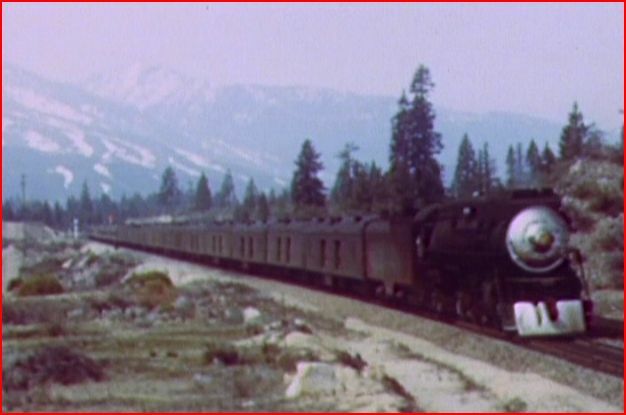 Volume 2 will satisfy anyone with interest in: Steam, Early Diesel and/ or Southern Pacific. A wide array of equipment and operations, make this an excellent transitional era show. The complete boxset might be the way to go for more serious fans. 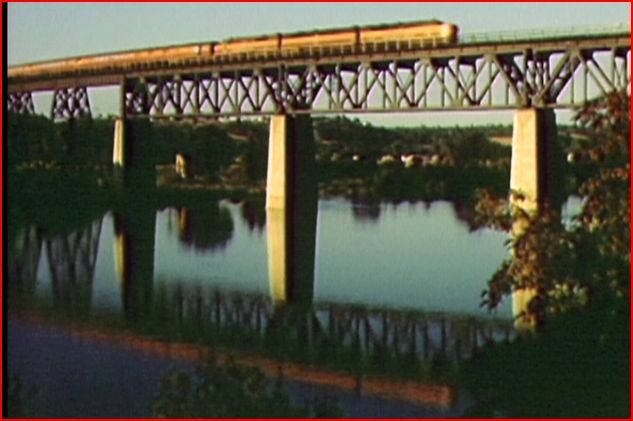 This entry was posted in ATVR Reviews, Catenary Video, Steam Train Reviews and tagged American Train Video Reviews, California, PBS style, Railroad, Southern Pacific, Steam, Steam engine, steam train, Train DVD, transportation by William J. Hudson. Bookmark the permalink.